Visitors have accessed this post 275 times. 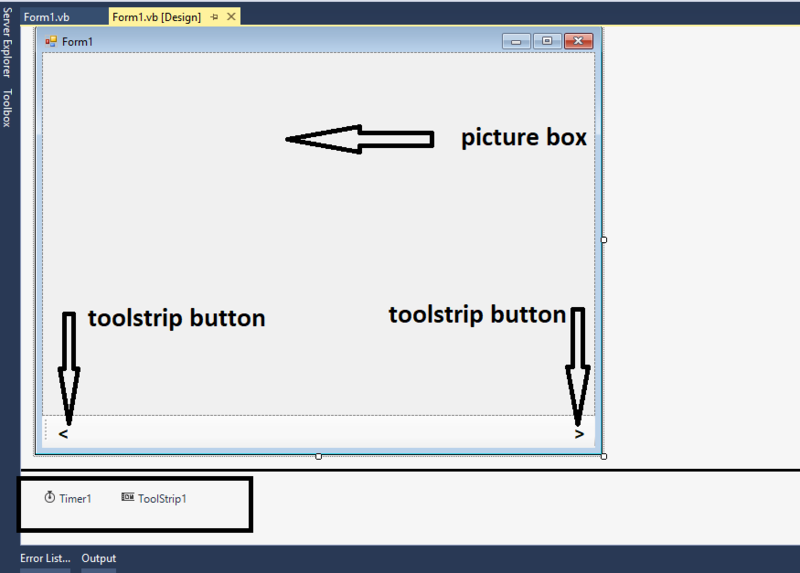 In this tutorial, I will teach you how to make slide show in VB.Net. Slide show is a presentation of a series of pictures that is usually displayed in an electronic device like a projection screen to present clearly the text or images to an audience. Now, if you what to know how to make a program of it? It’s just simple if you only follow the steps that are shown below. So let’s start. 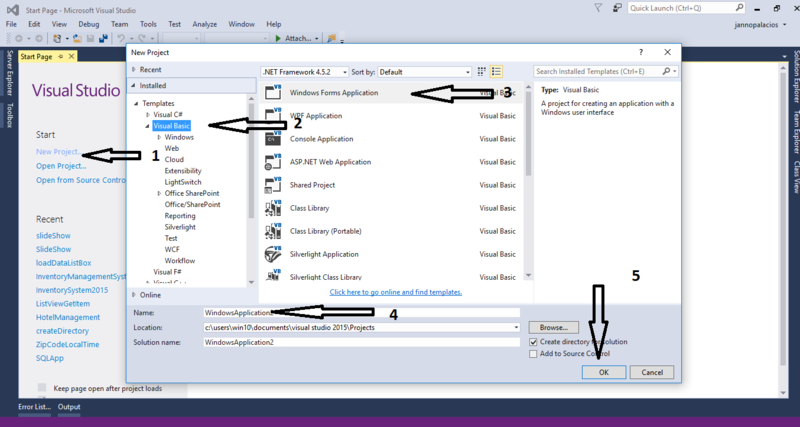 Open Microsoft Visual Studio 2015 and create a new windows form application for vb. Open the code view and declare an array variable for storing all images. After that, set an incrementing array variable. 'Set this to use in incrementing  an array index. Go to the solution explorer, right click and add a folder named it “images”. After that, add pictures in it. Double click the form and add the following codes to set a picture in the first load of the form. 'Set the first image in the first load of the form. Double click the timer and create a method for changing the pictures continuously. 'Set to Load the image. Double click the “btnNext” Toolstrip Button and add the following codes for the next picture. 'Disable timer to prevent the next image from loading..
'Re-Enable timer to resets the image loads in 5 seconds.. Double click the “btnPrevious” Toolstrip Button and add the following codes for the previous picture.